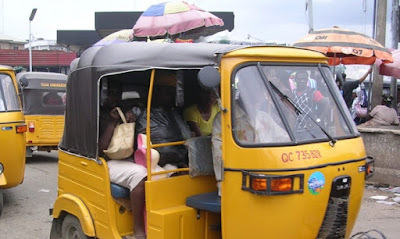 In what appears to be a first of its kind in Nigeria, a tricycle operator, Mr. Uche Njoku, on Friday paid N5,000 fine to Imo State Government for killing a pigeon which belonged to the state zoological garden. Njoku was fined by the Management of Imo Zoological Garden for killing an animal protected by the law. The News Agency of Nigeria learnt that Njoku, who operates within Nekede route in Owerri, killed the bird within the conservation area of the zoo. “Killing our animals has become a usual thing by road users and these are animals protected by the law. “Animals in the zoo have right of way within the conservation area; but road users do not obey the necessary cautions given by the zoo management,’’ he said. He warned that anyone who intentionally kills any animal protected by law would face justice. Njoku, who chose to pay the fine, blamed the incident on government’s failure to put proper road signs on conservation areas. He said although he was not speeding, there was no proper sign to indicate the conservation area. The tricycle operator appealed to the government to properly mark out the areas. Meanwhile, Abioya has threatened to take legal action against the Nigerian Security and Civil Defence Corps and Imo Security Network for allegedly killing a python. Abioya condemned the killing of a male python by the two security agencies on Wednesday at Ikemba Ojukwu centre in Owerri. He said instead of killing the python and selling it, it should have been captured and conserved for tourism and education. He warned that a female python which was within the area should not be harmed, adding that the zoo management should be contacted if it is seen. “People must know that we have laws protecting the animals and they should be obeyed. “How can security officers who should know the law kill a python that was not after their lives?” he asked. He said that a crocodile recently captured at the residence of the governor’s Special Adviser on Social Media, Mr. Ikechukwu Ogbenna, was a major asset to the zoo.